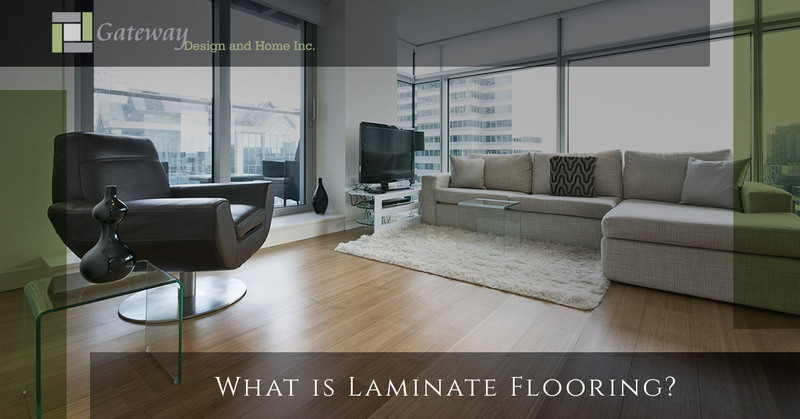 Flooring Loveland: What is Laminate Flooring? Laminate flooring was once looked down on as cheap, economy flooring, but it’s come a long way since then. It may have looked like plastic at the beginning, but not any more. With big improvements in manufacturing and printing processes, laminate has now become a popular choice for homeowners who want beauty at a better price. Are you looking for new flooring for your next build or remodeling project? Keep reading to learn more about laminate flooring and call Gateway Design & Home Center today to schedule a personalized consultation! Gateway Design & Home Center is here to help you create the home you’ve always wanted. We offer a wide selection of flooring materials, from solid hardwood to vinyl, and our team is ready to help you determine what flooring is best for you. You can visit our showroom in Loveland for one-on-one service and once you find the perfect materials, we have a dedicated team ready to provide quick, high-quality floor installation services. 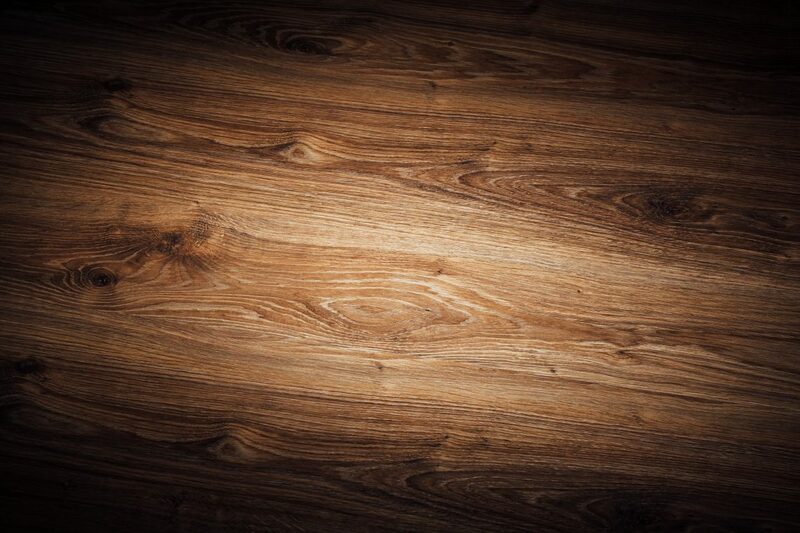 We’ll help you get beautiful new floors into your home faster and for less. Explore the possibility of laminate flooring and all our other flooring options here at our blog and stop by our Loveland showroom today for personalized advice! 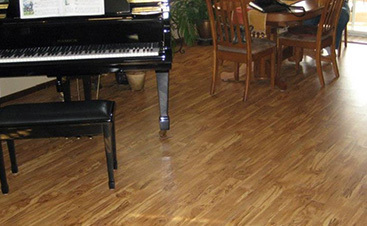 Laminate flooring is a hybrid, synthetic flooring covering. It combines the advantages of several alternative flooring types for an end product that has a lot of advantages and a more affordable price. To break it down, a laminate plank is essentially made of four different layers, each with a different purpose and made with a different material. The base or back layer of a laminate plank is typically a kind of paper, and it’s all about practicality. This bottom most layer balances the floor, helps keep the planks straight, and protects against moisture. Real wood is a component of laminate flooring, so it needs to be sealed between outer layers that will protect it against water damage. Laminate flooring was invented as a way to utilize waste wood products, and this inner layer is where that wood comes into play. Wood chips are combined with binders like glue or resin and exposed to heat and pressure to create boards. Because it’s made of wood, it is vulnerable to wood damage, but the outer layers protect it from most spills and accidents. You don’t see any of this wood when standing on the flooring, since it is a structural – not aesthetic – component. The part of the flooring you see is this layer, where an image is laid over the pressed wood. This image can be of anything you want. 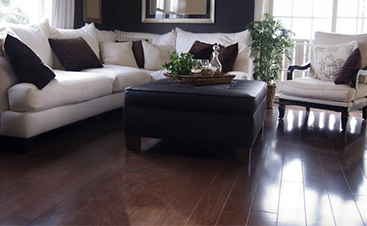 In most homes, laminate flooring is printed with images of real wood or stone to mimic those more expensive materials. Even professionals agree that it looks incredibly realistic and could fool most people into thinking you spent the dough on solid hardwood or stone, thanks to technological advances made in the printing process. The top most layer of your laminate flooring is the wear layer, made of a few sheets clear, durable plastic or paper infused with melamine. It’s resistant to moisture, scratches, and stains. It also prevents UV rays from penetrating to the image layer and fading the colors. It gives a nice shine to the image underneath and is a strong protectant that helps laminate last for years. Laminate flooring has a lot of potential for bringing style into your home at a price you can afford, and Gateway Design & Home Center is here to help you find exactly what you need. Explore our laminate flooring page to learn more about our services and stop into our Loveland showroom today to see our selection of colors and patterns!